In the early 2000's, Mr C released a song that has remained popular at venues all over the world for over 10 years. The Cha Cha Slide, which is a line dance, is simply a series of instruction by the artist that the dancers follow. Simple concept. Huge following. Then came 2014 and the release of Uptown Funk, an enormous hit by Mark Ronson featuring Bruno Mars. Although it is not a line dance, Uptown Funk has found it's way into mp3 players around the world and looks to be a mainstay at venues of all occasions. Cha Cha Funk takes those dance instructions and combines them with the popular beat of Uptown Funk. Although the actual dance moves remain the same, they are in a different order. This mashup of these 2 iconic hits is guaranteed to fill your floor, whether at the club/bar or at your house party. 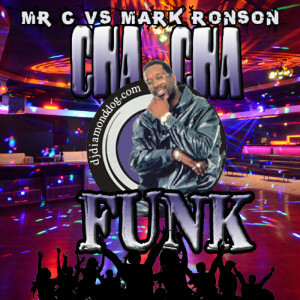 Be sure to take a minute to sample Cha Cha Funk and download it for your next big (or small) occasion. Stay tuned!! 2016 has much more to bring!! And don't forget to check out Creative Sounds DJ's, my mobile DJ business based out of Watertown, NY. "My Sharona" with Run DMC's "It's Tricky," which still packs dance floors around the world to this day, 30 years later. The result is an uncontrollable, quick-hitting mashup that will get everybody moving, whether they want to or not. This is high-powered stuff right here. Tricky Sharona can be streamed right here or at djdiamonddog.com, and you can also download the high-quality (320) mp3 here as well. There is also a mashup video available to watch. This mashup is tag-free for the DJ's and it also contains an 8 bar intro and outro. Thanks for listening and I hope everyone enjoys this latest mashup along with all the other mixes at djdiamonddog.com. 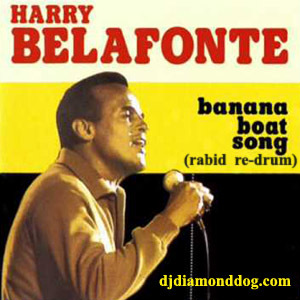 Day-O (the Banana Boat Song) originated in Jamaica in 1952 and was later popularized by Harry Bellafonte in 1956 on his album entitled Calypso. The calypso (also referred to as mento, or Jamaican folk music) song was later re-popularized in the late 80's when it was featured in the classic movie Beetlejuice. Marking 60 years since Harry Belafonte made the song mainstream, 2016 also marks an upbeat remix/re-drum version of this classic, geared towards dancing in the modern club. Day-O (the rabid re-drum) features a house beat over the original calypso tune. With the 4 on the floor beat, this re-drum will liven up any occasion. The re-drum is available for download and it features both a regular remixed version and an extended version for the DJ's. There is also a video available to watch right here and at djdiamonddog.com. Thanks for the support and enjoy the music!! 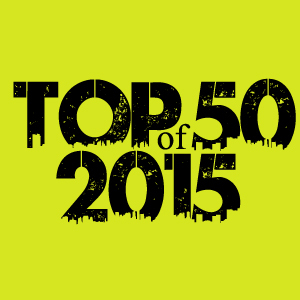 I have arranged a list of my top 50 tracks from 2015. This is my personal list and it is based on airplay, popular charts, and requests I received at my events throughout the year.